Chickens, bees, feral cats, lavender, and more. I spend time with the chicks each day (in the morning and before going to bed). 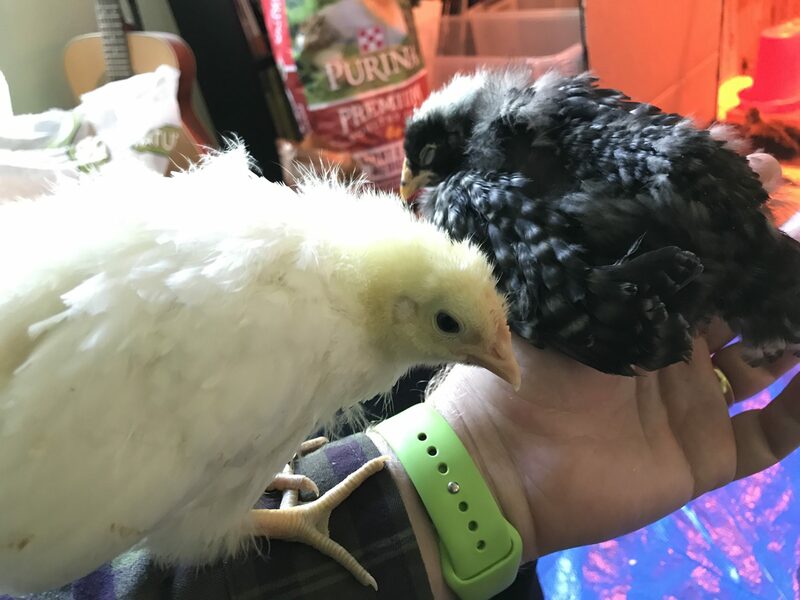 This morning, I had one of the two most friendly chicks hanging out on my left hand/arm while getting and holding others in my right hand. Then I had both of the friendly ones at once, as pictured below. 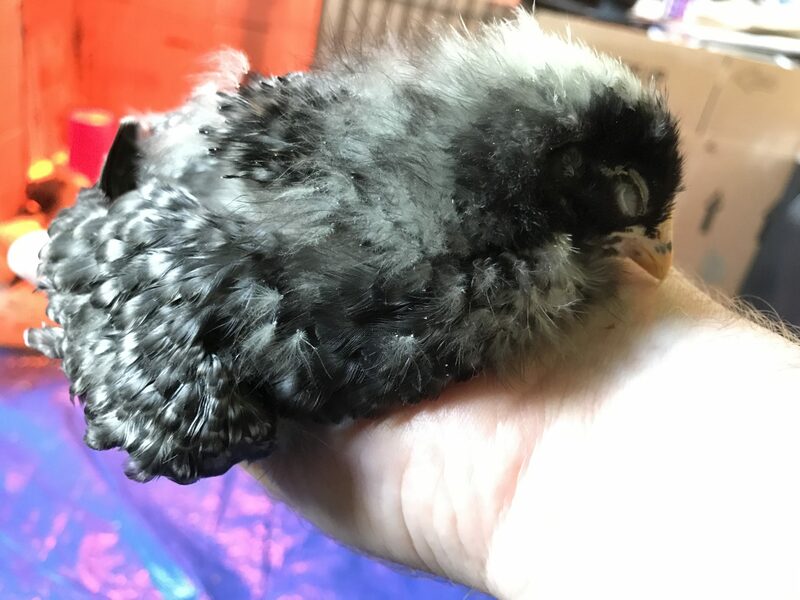 This is Domino, a Dominique chick. (I bet you can’t guess where her name comes from!) She is very friendly, and likes to snuggle in the palm, and often falls asleep soon after being picked up. 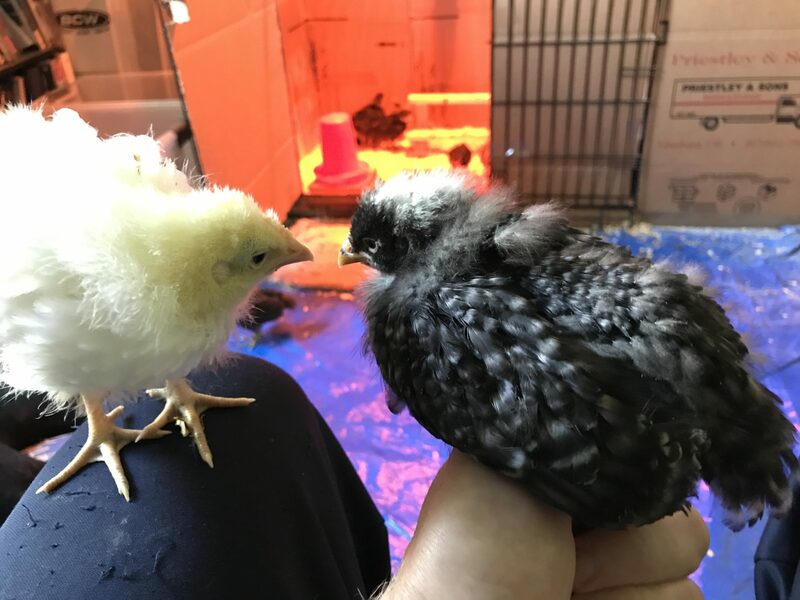 Here’s Merida, who I believe is a White Plymouth Rock, along with Domino. Both again. It looks like Merida is being confrontational (she is Top Chicken), but a moment later they both settled down again.